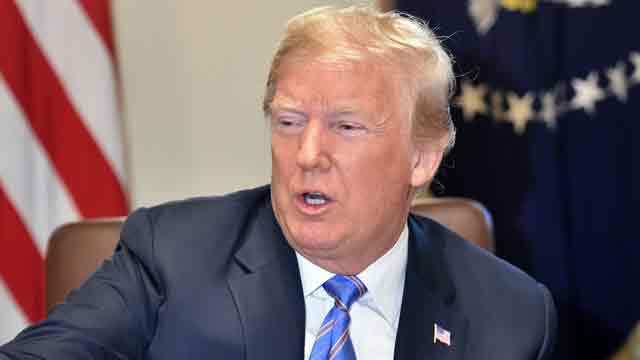 Washington, July 21 (Just News): US president Donald Trump on Friday launched a fresh attack on American trading partners, saying the EU and China were manipulating their currencies, and he threatened to hit all imports from China with high tariffs. In the CNBC interview broadcast Friday, Trump reiterated his claim that the United States is “being taken advantage of” on issues including trade policy. The growing share of international trade under threat-including the tariffs on autos and auto parts now under consideration-could harm the global economy by disrupting manufacturing supply chains, raising prices and causing firms to hold off on new investments. In the CNBC interview, Trump also said he was “not happy” the Fed planned to continue raising benchmark lending rates. “The US should be allowed to recapture what was lost due to illegal currency manipulation and BAD Trade Deals,” Trump said on Twitter. The comments, plus Trump’s criticism of Federal Reserve interest rate hikes, had sent the dollar tumbling against a basket of currencies. Despite Trump’s claim, the yuan has been rising steadily if gradually in recent years, as most economists and officials say Beijing actually has been intervening in currency markets to keep the currency from weakening.